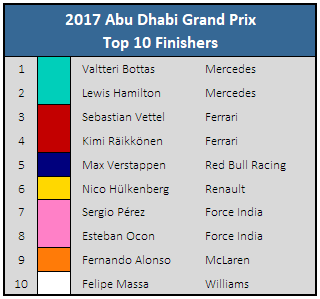 After nailing pole position in Saturday qualifying, Valtteri Bottas raced to victory on Sunday under the night lights of the Yas Marina Circuit at Abu Dhabi. He was consistently challenged by teammate and four-time champion Lewis Hamilton but ultimately held on to his position and closed off the season with a decisive win. Behind them was Sebastian Vettel, who finished third to secure his second place in the drivers’ championship, followed by Kimi Räikkönen, who was able to overtake Daniel Ricciardo in the overall standings thanks to the latter experiencing a hydraulic pressure loss mid-way through the Grand Prix. 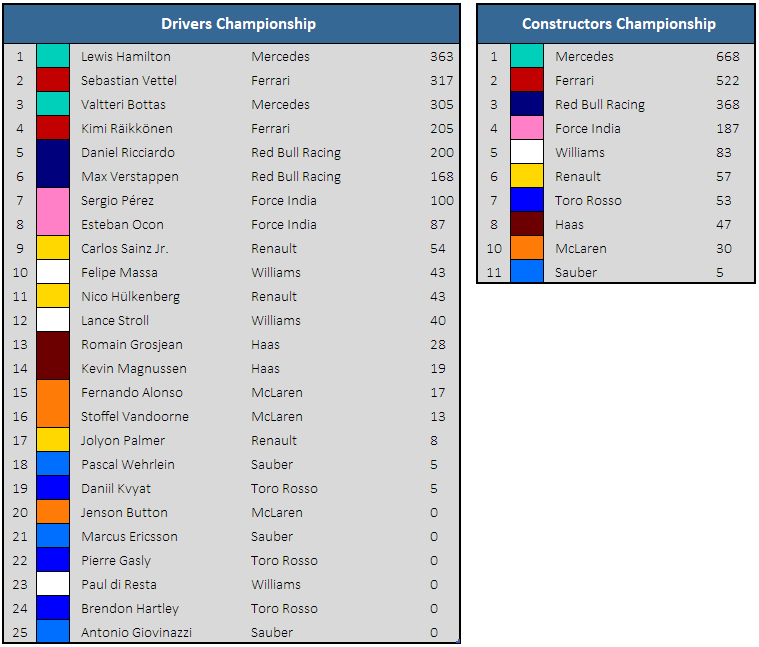 Crucially for Renault, Hulkenberg finished sixth behind Max Verstappen, scoring enough points for his team to pass Toro Rosso in the constructors’ championship. Further behind were both Force India drivers and McLaren Honda’s Fernando Alonso, who completed a three-race streak of scoring points, validating the team’s strategy of stockpiling engines; and finally Felipe Massa came 10th to grab the last available point in the last race of his 16-year career in Formula One. 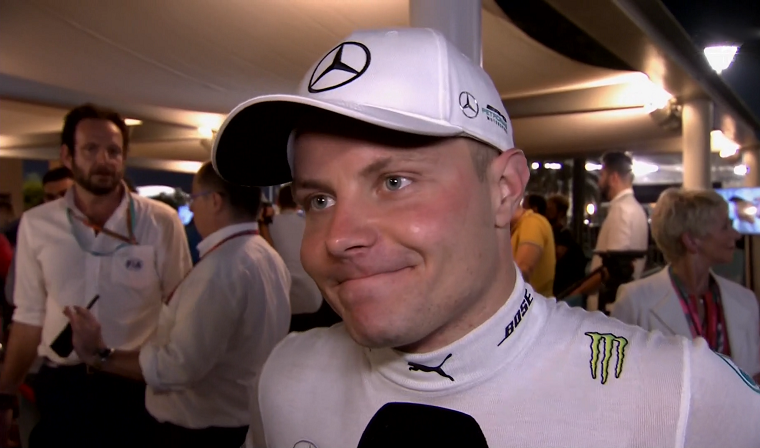 Bottas’ win marked his third of the season and probably an important one for the Finnish driver, at least from a mental perspective. After being brought in to replace Nico Rosberg last year, Bottas was somewhat of an unknown quantity—and though few expected him to match Hamilton, many believed he’d at least get as close as Rosberg had. Ultimately, Rosberg came off looking like a better driver in hindsight, such was Hamilton’s performance advantage over his teammate over the course of the year; and even though Bottas bears that stereotypical Finnish outward coolness, his confidence seemed to be wavering as the season developed. Thanks to his back-to-back pole positions and his win in Abu Dhabi, however, he has closed off the season on a high and will be able to return to the sport in 2018 ready to take the fight to both four-time world champions once again.